The Republican People’s Party (Turkish: Cumhuriyet Halk Partisi, CHP) is aKemalist and social-democratic political party in Turkey. It is the oldest political party of the Republic of Turkey and is currently the Main Opposition in theGrand National Assembly. The Republican People’s Party describes itself as “a modern social-democratic party, which is faithful to the founding principles and values of the Republic of Turkey“. Also the party is cited as “the founding party of modern Turkey”. The party was established during the Congress of Sivas (1919) as a union of resistance groups against the invasion of Anatolia. The union representedTurkish people as a unified front during the Turkish War of Independence(1919–1923). On 9 September 1923, the “People’s Party” officially declared itself as a political organization and on October 29, 1923, announced the establishment of the Turkish Republic. On 10 November 1924, the People’s Party renamed itself to “Republican People’s Party” (CHP) as Turkey was moving into a single-party period. During the single-party period, the CHP became the major political organisation of a single-party state. However, CHP faced two opposition parties during this period, both established upon the request of the founder of Turkey and CHP leader, Mustafa Kemal Atatürk, in efforts to jump-start multiparty democracy in Turkey. The first one was the Progressive Republican Party established in 1924 by some famous generals such as Kazım Karabekirand Ali Fuat Cebesoy of the Turkish War of Independence and the second one was the Liberal Republican Party founded by Ali Fethi Okyar in 1930, both of which, however, were banned within a few months of their establishment by the state for veering too closely to Islamism. This experience was followed by the National Development Party founded by Nuri Demirağ, in 1945. The current (or modern) structure of the party was established with the transition to multi-party period. After World War II, with the title Millî Şef(“National Chief”), İsmet İnönü, leader of the CHP, introduced democraticelections to Turkish society. Due to widespread dissatisfaction with the CHP in the four years after its victory in the first multi-party general election in 1946, the party lost the second multi-party general elections in 1950, and Celâl Bayar replaced İnönü as President. During the interim “multi-party periods” in between the military coups of 1960, 1971, and 1980, CHP is regarded as being social-democratic (member of theSocialist International), state nationalistic and secular/laicist. The party’s logo consists of the Six Arrows, which represent the foundational principles ofKemalism: republicanism, nationalism, statism, populism, laïcité, andrevolutionism. The CHP, along with all other political parties of the time, was closed down for a brief period by the military coup of 1980. An inheritor party which still participates in Turkish democratic life, was established in 1984, as theDemocratic Left Party by the former leader of CHP, Bülent Ecevit. CHP was finally reestablished with its original name on 9 September 1992, with the participation of a majority of its previous members of the pre-1980 period. Party’s performance at the 2007 general election by constituency. The Republican People’s Party is currently a centre-left political party with traditional ties to the middle and upper-middle classes such as white-collar workers, retired generals, government bureaucrats, academics, college students, left-leaning intellectuals and labor unions such as DİSK, and well-to-do entrepreneurs. Nevertheless, the loose relationship between CHP and some trade unions, business chambers and most non-governmental organisations alienated many voters. The distance between the party administration and many leftist grassroots, especially left oriented Kurdish voters, contributed to the party’s shift away from the political left. Despite heavy criticism from liberal and libertarian socialist interest groups,[by whom?] CHP still holds a significant position in the Socialist International as well as being an associate member of the Party of European Socialists. CHP urged the Socialist International to accept Republican Turkish Party of the Turkish Republic of Northern Cyprus as an observer member. At the 2007 general election CHP ran in alliance with Democratic Left Party. CHP suffered a heavy defeat, getting 7,300,234 votes (20.85% of the total). CHP, YTP, and DSP combined got 21.77% of the votes in the 2002. The party finished first only in three provinces in Thrace (Edirne, Tekirdağ, Kırklareli) and two provinces on the Aegean coast (İzmir,Muğla). With these results, 112 candidates (13 of these MPs are DSP affiliates) were elected to the Grand National Assembly of Turkey from the CHP electoral sheet compared to 178 in 2002. CHP increased its vote share from 20.9% to 23.1% in the 2009 municipal elections. The party gained considerable ground by winning Antalya, Giresun, Zonguldak, Sinop, Tekirdag, and Aydin despite losing Trabzon municipality. In 20 provinces of Turkey, the party received less than 3% of the votes. At the general elections held on June 2011, CHP was able to increase the number and the percentage of voters to 11,155,972 & 25,98% respectively. At the 2014 Municipal Elections, however, CHP’s votes went down to 10,835,876. CHP-backed candidate, Ekmeleddin Ihsanoglu, was able to get only 38.44% of the votes during the Presidential Elections five months later. The Republican People’s Party has not won overall against AKP in nine elections since 2002. During the War of Independence, 1919–1922, the parliament in Ankara was composed by different types of deputies. To have a harmony among his followers, Mustafa Kemal and his colleagues formed Müdafaa-ı Hukuk grubu (the “group of Defence of the Law”). The opposition to Mustafa Kemal or to the commissars elected by the parliament united under the name of “second group of Defence of the Law”, often shortened simply to “second group” (the Mustafa Kemal followers were later called “first group”). Although the second group was always in the minority, it could create active opposition within the parliament. In January 1923, Mustafa Kemal Pasha announced that first group would be transformed to a Party named Halk Fırkası (People’s Party). In May 1923, the parliament called a bill for new elections, most probably because Mustafa Kemal and his colleagues wanted to guarantee the peace treaty’s, held in Lausanne, approval by a more unanimous parliament. The People’s Party was officially founded only after the 1923 elections. The 1923 elections were definitely the victory of the forthcoming Party, because of the its leaders reputation after the military victory of the War of Independence and it was the liquidation of second group. Thanks to this unanimity of this second parliament, the republic was proclaimed, the Treaty of Lausanne was accepted and the Caliphate was abolished. However, in 1924, after the short-period of a single-party rule, many of Mustafa Kemal’s ex-colleagues, for many reasons (their growing loss of power, their opposition to the short period of a single-party rule’s revolutionary activities, etc. ), including Rauf Orbay, Kâzım Karabekir, Ali Fuat Cebesoy and many others founded an opposition party calledTerakkiperver Cumhuriyet Fırkası (Progressive Republican Party). After the foundation of an opposition party, the People’s Party changed its name to “Republican People’s Party”. The life of the Progressive Republicans Party was short. In 1925, the Sheikh Said rebellion was sparked in the east of Turkey. The party was shut down because of allegations of involvement with rebellion and assassination attempts against Mustafa Kemal. The party was closed on 5 June by the government. As a consequence, Karabekir and many members of the party were court-martialled and imprisoned. Karabekir was released after being found innocent. From 1925 until 1946, Turkey was under single-party rule, with one interruption; Serbest Fırka (Liberal Party) which was actually founded by Atatürk himself, and its leader was one of his closest friends, Ali Fethi Okyar. This party was closed down by its founders shortly after the İzmir meeting, which was a huge demonstration against the Republican People’s Party. In the period of 1925–1930, the Republican People’s Party introduced measures transforming Turkey into a modern state. In the period of 1930–1939, the party transformed itself and tried to broaden its ideology (for instance, the ‘6 arrows’ were adopted in 1930). The day after Atatürk’s death, İsmet İnönü was elected the second president and assumed the leadership of CHP. During the general nationwide congress of CHP on 26 December 1938, İsmet İnönü was elected as the “everlasting CHP leader”. The delegates awarded Atatürk the title “eternal chief”, and awarded İnönü the title “national chief”. During the 1940s, CHP established the Village Institutes, which was an enlightenment project developed in order to reduce the huge gap that existed between urban and rural areas. Various scientists, writers, teachers, and doctors graduated from Village Institutes; and supported Turkey’s modernization efforts. General elections were held in Turkey on 21 July 1946, the first multi-party elections in the country’s history. The result was a victory for the Republican People’s Party, which won 395 of the 465 seats. On 26 November 1951, during the ninth Congress of CHP, the youth branch and the women’s branch of CHP were formed. On 22 June 1953, the establishment of trade unions and vocational chambers was proposed, and the right to strike for workers was added to the party program. On 2 May 1954, CHP lost the elections to the Democratic Party, gaining only 31 seats with 35.4% of the total vote. The DP captured 505 seats with 57.6% vote, due to thewinner-take-all system. Following this defeat, the CHP began intensifying its oppositiontactics and increased its share of the votes to 41%, gaining 178 seats, in the 27 October 1957 elections. The DP gained 424 seats with 47.9% vote. In the military coup of 1960, a “National Unity Committee” was formed by upper-class soldiers. The National Unity Committee abolished the Democratic Party and started trials to punish Democratic Party leaders for their alleged dictatorial regime. As a result, on 16/17 September 1961, ousted Prime Minister Adnan Menderes, Foreign Minister Fatin Rüştü Zorlu, and Finance Minister Hasan Polatkan were hanged inİmralı island prison. President Celal Bayar was forgiven due to his old age, but sentenced to life imprisonment. In 1961, Justice Party (AP) was established, claiming to be the successor to the Democratic Party. In the meantime, the National Unity Committee established an interim House of Representatives instead of the TBMM, in order to prepare a new constitution for Turkey. In the new constitution, the Constitutional Court was to be established, to prevent the government from violating the constitution. The 1961 constitution is accepted to be the most liberal and democratic constitution in Turkish history. Also, the winner-take-all electoral system was immediately abolished, and a proportional representationsystem was introduced. The new constitution brought Turkey a bicameral parliament, composed of the Senate of the Republic as the upper chamber, and National Assembly as the lower chamber. The National Unity Committee chairman General Cemal Gürsel was elected as the fourth president of Turkey. On 15 October 1961, CHP won the elections, gaining 173 seats with the 36.7% of the vote. AP gained 158 seats, with 34.8% of the vote. CHP leader İsmet İnönü formed the coalition with the Justice Party (AP) and became Prime Minister. This was the first coalition government in Turkey’s history. İnönü established two coalition governments until the 1965 elections. Süleyman Demirel became prime minister in the late 1960s, and because he was the leader of the AP (Justice Party), he continued in the tradition of Adnan Menderes gaining a large amount of support from both the religious voters and democrats. In 1971, the army brought down the AP government of Süleyman Demirel. The secretary general of CHP Bülent Ecevit protested against military intervention and resigned from his post. He also criticized İnönü for not criticizing the intervention. 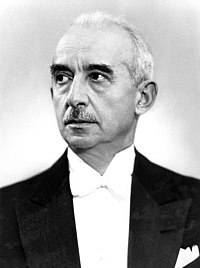 By his quick and energetic reactions, he gained support from the intellectuals and in 1972, he succeeded İsmet İnönü as the leader of the party. Following some interim governments, CHP won 1973 elections with 33% of the vote and formed a coalition withNational Salvation Party (MSP) of Necmettin Erbakan. Bülent Ecevit began to take on a distinct left wing role in politics and, although remaining staunchly nationalist, tried to implement socialism into the ideology of CHP. The support of party also increased after Turkish intervention to Cyprus following a coup which had been staged by the Cypriot National Guard led by Nikos Sampson. CHP and MSP had however very diverged ideologies, especially on secularity and in 1975 a new coalition government led by Süleyman Demirel was formed by four parties. Nevertheless CHP was still the most popular party. CHP won 1977 elections with 41% of the vote, which is a record in CHP history. But CHP couldn’t gain the majority of seats and from 1977 to 1979, the CHP was the main party of two brief coalition governments. But in 1980, the AP returned with Demirel. The political switching between the CHP and the AP came to an end when the military performed a coup and banned all political parties. After the 1980 military coup, the name of “Republican People’s Party” and the abbreviation CHP were banned from use by the military regime. Until 1998, Turkey was ruled by the centre-right Motherland Party (ANAP) and the True Path Party(DYP), unofficial successors of the Democrat Party. The three parties of CHP followers were People’s Party (Turkish: Halkçı Party, HP) of Necdet Calp, Social Democracy Party(Turkish: Sosyal Demokrasi Partisi, SODEP) of Erdal İnönü and Democratic Left Party (Turkish: Democratit Sol Parti, DSP) of Rahşan Ecevit. These names were chosen to remind people of CHP. Necdet Calp was İsmet İnönü’s secretary when İnönü was prime minister. Erdal İnönü was İsmet İnönü’s son and Rahşan Ecevit was Bülent Ecevit’s wife. The ban on pre-1980 politicians was lifted in 1987 and on pre-1980 parties was lifted in 1992. Both of these normalization steps were largely due to Erdal İnönü’s efforts. He also tried to unify the three parties; SODEP and HP merged in 1985 to form the Social Democratic Populist Party (SHP), but DSP remained apart. In 1991, since Turkey’s election system had two large election thresholds (10% nationwide and 15% local thresholds) and since centre-left was divided into two parties (SHP and DSP), social democrats and democratic left groups had little power in the parliament. Between 1991 and 1995, Turkey was ruled by the coalition of centre-right DYP and center-left SHP (Social Democratic Populist Party) (later, the SHP joined CHP). The Islamists returned with a new party, Refah, while the nationalist MHP took advantage of the disillusionment felt by former supporters of the Refah Party and the constantly bickering ANAP and DYP. In 1995, the Islamic Welfare Party (Refah Partisi) entered Parliament, and the CHP’s share of the vote dropped to 10% and it received only 49 of the 550 deputies. It now seemed as if the CHP had been replaced as the main left-wing party. But the Welfare Party was banned in 1998, and during the 1990s the Democratic Left Party (DSP), led by former CHP leader Bülent Ecevit, gained popular support (the DSP was established by the Ecevit family in 1985). In 1998, after the resignation of RP-DYP coalition following the “February 28” post-modern and soft military coup, ANAP formed a coalition government with DSP and the small centre-right party DTP (Democratic Turkey Party), along with the support of CHP. However, due to big scandals, corruption and some illegal actions of this coalition, CHP withdrew its support from the coalition and helped bring down the government with a “no confidence” vote. Just before the elections of 1999, DSP formed an interim minority government with the support of DYP and ANAP; and the PKK leader Abdullah Öcalan was captured inKenya during the Ecevit rule. Therefore in the elections of 1999, CHP failed to pass the 10% threshold (8.7% vote), winning no seats in Parliament. Baykal resigned in 1999, Altan Öymen became the leader. But one year later, Baykal became the leader of the party again. About a month after the general elections of 1999, a coalition government between DSP-MHP and ANAP was formed under the leadership of DSP. This government passed many important laws, including banking reform, unemployment insurance, a law to ensure the autonomy of the Central Bank, qualified industrial zones, tender law, employment incentive law, to name a few. The government also changed 34 articles of the Constitution to widen fundamental rights and freedoms, and did this with the approval of all the parties in Parliament. Turkey became a candidate country to the European Union(without any political preconditions and with equal treatment as all other candidate countries). Three major EU harmonisation packages were passed during this government, including the most comprehensive package of 3 August 2002, which included the removal of the death penalty and many changes in fundamental rights and freedoms. An economic crisis which resulted from long overdue problems from previous governments caused a drop in the currency in February 2001. But 2 months later, the government passed a series of very comprehensive economic reforms which enabled the high growth of 2002–2007. In the 2002 Parliamentary elections, the CHP won 178 seats in Parliament, and only it and the AK Party (Justice and Development Party) entered Parliament. The CHP became the main opposition party again and Turkey’s second largest party. It had begun the long road to recovery. It must be understood however, that this had very little to do with voters supporting CHP. Many were former DSP supporters who were angry at the economic crisis that many blamed on the Ecevit government. Also many DSP and ANAP supporters left these parties for AK Party as did many MHP and Fazilet (now Saadet party) members. Many on the left are still very critical of the leadership of CHP especially Deniz Baykal, who they complain is stifling the party of young blood thus turning away the young who turn either to apathy or even to vote for AK Party. While AK Party boast of a young leadership who have lived through many of the difficulties of many in Turkey CHP are seen as an ‘old guard’ that do not represent modern Turkey. The leftists also are very critical of the party’s continuous opposition to the removal ofArticle 301 of Turkish penal code; which caused people to be prosecuted for “insulting Turkishness” including Nobel Winner author Orhan Pamuk, Elif Şafak, and the conviction of Turkish-Armenian journalist Hrant Dink, its attitude towards the minorities in Turkey, as well as its Cyprus policy. Despite this recovery, since the dramatic General Election of 2002, the CHP has been racked by internal power struggles, and has been outclassed by the AK Party government of Recep Tayyip Erdoğan. In the local elections of 2004, its overall share of the vote held, largely through mopping up anti-Erdoğan votes among former supporters of smaller left-wing and secular right-wing parties, but was badly beaten by the AK Party across the country, losing former strongholds such asAntalya. In order to present a strong alternative to the AK Party in the 2007 national elections, the DSP showed a sacrifice and entered the elections together with the CHP. The CHP and DSP alliance received 20.9% of the votes and entered the Parliament with 112 Members of Parliament. During the 2009 local elections, the party tried to attract the conservative and devout Muslims to the party by allowing women who wear the chador to become party members including promises to introduce Koran courses if requested in every district. However, the allowing of women wearing hijab into the party was received with a severe blow when a normally non-headscarved member of CHP (Kıymet Özgür) committed a provocation by wearing a black hijab and trying to get into an election bus in Istanbul. The incident raised questions about CHP’s initiatives in favor of religious freedoms.The new initiatives introduced were surprising inside and outside the party, including military leaders, which the party itself is a major defender of Kemalist principles. On 10 May 2010, Deniz Baykal announced his resignation as leader of the Republican People’s Party after a clandestinely made video tape of him, sitting on a bed where a woman is also eminent, who is identified as Nesrin Baytok, his former private secretary and a member of parliament, was leaked to the media. On May 22, 2010, the party convention of the Republican People’s Party elected Kemal Kılıçdaroğlu to be the new party leader. Kılıçdaroğlu set about immediately to reform the party and many critics of the day commented positively how the Kılıçdaroğlu period would see the People’s Republican Party move more to the left as in the time of Bülent Ecevit, in contrast to the Baykal period which had moved CHP more closer to centre politics to such an extent that left-wing intellectuals had started to claim how the CHP was becoming a right-wing party. Kılıçdaroğlu has seen an immense rise in popularity and support throughout the country and for the first time in twenty years, the party has become directly active in the eastern parts of the Republic. In late 2010, the party held a Great Election where the Party Leader’s cabinet was reformed. It marked the end of the ‘Baykal – Onder Sav’ era completely where all opposition to the changing policy of the CHP was swiftly removed. Kemal Kılıçdaroğlu efforts seemed to work since e elections held on June 12, 2011, CHP was able to increase the number & the percentage of voters to 11,155,972 and 25.98% respectively. The CHP usually draw much of their support from secular and liberal religious voters with a stable electorate from voters of big cities, coastal regions, professional middle-class, and minority groups such as Alevis. The party’s strongholds are the Aegaen region (İzmir, Aydın, Muğla), the Thrace region (Edirne, Kırklareli, Tekirdağ) and the college town Eskişehir.